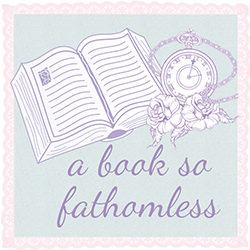 A Book So Fathomless: Thoughts On The Young Adult Genre: DOESN'T COUNT AS LITERATURE. Thoughts On The Young Adult Genre: DOESN'T COUNT AS LITERATURE. So the other day I attended a creative writing club meeting. That was all good until I found a friend from that class and started walking back to get lunch. She was nice and it is always good to find people that write like you do and we were having a great conversation until she asked me what type of things I wrote. The conversation went down like this. Me: Oh well, I read a lot in the Young Adult genre and that is why I like to write in it. I write Young adult. Her: So you write about vampires? VAMPIRES. IS THAT WHAT THIS GENRE IS TO YOU? DEAR GOD WOMEN, SORT OUT YOUR PRIORITIES. First of all, I am disappointed in myself. Instead of saying that I write young adult, I gave her a reason that I wrote in that genre and of course, that comes of as an insult to YA. I had to explain myself and I really shouldn’t need to. I should be able to just say that I write young adult because I like to. Now that I’ve got of that my chest, let’s talk about her. I hate that people look down on our genre like it is a speck of dust, that it is a lesser than other genres and doesn’t count as literature. The young adult genre is not just about vampires as I’m sure you are all clear about. Yeah, sure, there are a bunch of Young adult books that have vampires but there are just as much that are not Young Adult books. For example, Dracula. God, I just want to slap people sometimes. Slap them and then throw them off buildings and then suffocate them and then eat them. Now this is a quite random post and barely a discussion but I just wanted to write something about it. One day I will write a whole novel on this damn topic and publish it so the whole world can see it, but right now I just wanted to show a piece of ignorance and see if there are any conversations or events like this that have happened to you? Leave them in the comments! I would love to know.